Newsweek Pakistan's latest cover story is on the rise in female suicide bombers. 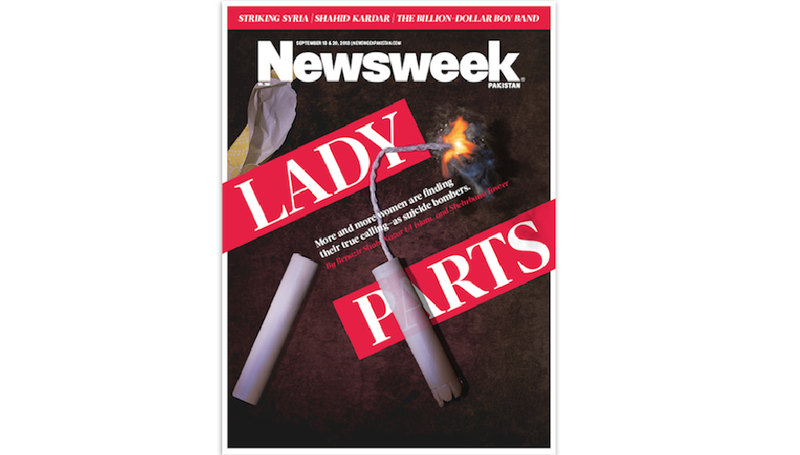 And, so, naturally, this week's cover features the words LADY PARTS emblazoned over the image of tampons with lit fuses where the removal string would normally be. That's some TIME-level trolling, Newsweek. Kudos, I guess. The good news is that Newsweek's bombpons cover allows you to tick off several squares on Deliberately Provocative Magazine Cover Bingo. The bad news is that everyone on staff cringed when we saw it. To channel Cecily Strong: Can we not? But also, like, don't.